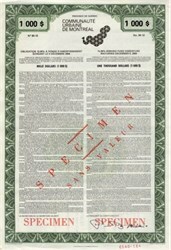 Beautifully engraved RARE Specimen certificate from the Communaute Urbaine De Montreal printed in 1984. 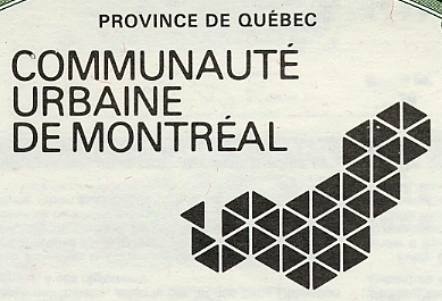 This historic document was printed by Yvon Boulanger and has an ornate border around it with a vignette of the Communaute Urbaine De Montreal's name and logo. This item has printed signature of the Company's Officer. Commission de transport de la communaut� urbaine de Montr�al/CTCUM (Montreal Urban Community Transportation Commission/MUCTC). This entity ceased to exist in 2002 when the island's municipalities were merged.